Many of us are now making the connection and the shift towards more alternative and holistic health care choices for ourselves, so it makes sense that we do the same for our dogs. We are lucky to have a much wider range of choice than we did a few years ago, from mainstream vets who offer additional holistic treatments through to animal naturopaths, healers and chiropractors. While we all agree that conventional medicine is vitally important, our mainstream practitioners (doctors and vets) are trained to treat and fix symptoms rather than focusing on prevention and holistic solutions. Unfortunately, this limited approach doesn’t always understand or make available other valuable options and alternatives. It is therefore vital that we do our own research and make independent, informed decisions regarding our own health and that of our pets. There is now so much information and new research available which strongly suggests that we are doing more harm than good by overloading our dog’s systems with unnecessary toxins and inappropriate diet. Flea and tick medications, prescription drugs, over-processed dog food, the stress of modern lifestyles and the multitude and frequency of vaccinations that we seemed to have accepted as necessary and “normal” are all contributing to an epidemic of dis-ease, illness and shortened lifespans. 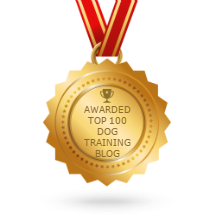 In the next few posts I’m going to take a closer look at some common recommendations and possible misconceptions regarding your dog’s health and offer a different perspective and some alternatives. Part One – Nutrition and Diet. As dog behaviourists, we see first-hand the negative effects an inappropriate diet can have on a dog’s state of mind and general well-being. It is very concerning to us that the average dog owner is not aware or educated as to the most appropriate diet for their dog and that the ‘industry professional’ (whether it be the pet store sales person or vet) who offers them advice here may not be the most informed or correct person to be giving that advice. Let’s think about this with an open mind and some common sense. Evolution and nature have created canines over the last few thousand years to thrive and exist on a raw natural, (almost) exclusively carnivorous diet. A diet high in water content, enzymes, bacteria and very low in carbs. When we ask our clients what they have been recommended they feed their dog, they almost always refer to “XYZ” brand of dry dog food. The problem is that even a “top of the line” dry food in the shiny packet with the scientific terms and the big price tag may sound great, but when you dig deeper, it’s not as ideal as you may have been led to believe. In fact, most are very far from a natural carnivore’s diet – dehydrated, dead (devoid of enzymes and bacteria), full of carbohydrates, highly processed and completely unrecognisable. Maybe the confusion here is that we are conditioned to rely on our vet’s advice a little too much. So why isn’t your vet recommending this raw natural diet? Sadly, what the general public doesn’t realise is that unfortunately veterinary school teaches very little about holistic animal nutrition. To top it off, much of what they are taught is spoon-fed by major drug companies that not only heavily sponsor the universities and their research programs but co-incidentally manufacture the major pet food brands. We are all aware how profoundly our own diet can affect our general health, moods and state of mind, and it wouldn’t seem right to feed a heavily processed and unrecognisable food to our kids for every meal. As guardians we owe it to our dogs to be proactive and informed – diet is just so important to overall quality of life that the wrong decision can and often does have massive implications. We encourage all dog owners to do their own research and make independent choices based on YOUR dog and your individual situation.